A great coach will not only help you achieve your goals, but will push your boundaries, make you dream bigger and drive you to achieve exponential success. A great strategist will also do all these things. But in addition, they will be able to combine their psychological insights with real-world business experience and expertise so as to produce the fastest results in the real world. At NeoStrategy, we fuel breakthroughs by focusing on the people rather than the problems. We believe that at the heart of every personal, business or innovation challenge lie inefficient alignments of values, beliefs or strengths. Naturally, our clients make rapid progress when we effect radical but simple paradigm shifts in their approach. We have personalized our PBI strategy successfully to deliver results in clients as varied as CxOs, top IT executives, SME business owners, entrepreneurs, bureaucrats and other thought leaders. 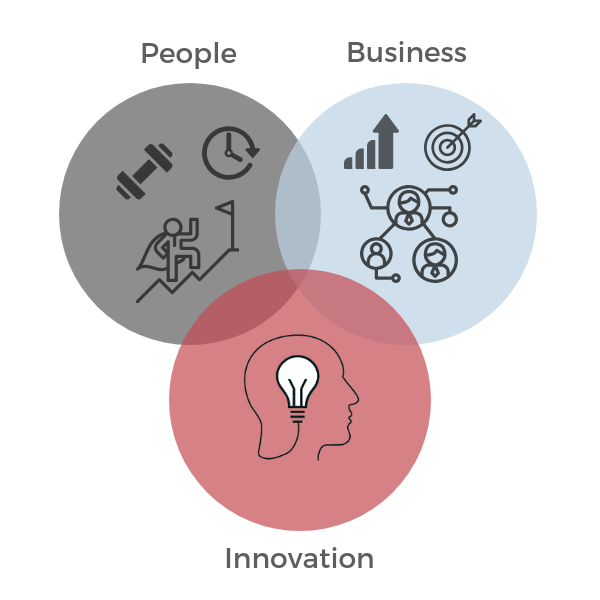 Our toolkit draws from years of insight into the science and psychology of business success, entrepreneurship and innovation, and uses the cutting-edge strength-based approach for lightning-speed results. If you want to be the BEST, and not just next-level, you have come to the right place. We would love to help you on your journey to greatness. Experience the NeoStrategy difference with a FREE strategy session today! Overcome personal challenges, discover your true potential, and live a life of confidence, vision and fulfillment. Grow rapidly and build powerhouse teams. Discover business strengths, sharpen your focus and scale successfully. Turn your strengths into a signature leadership and management style. Set yourself and your organization on an exponential growth trajectory. Escape dysfunctional habits and reinvent yourself as a creative thinker, doer and maker. Become confident and successful. Stay relevant by embracing change and adopting innovation processes like Design Thinking and Lean. Turn ideas to money rapidly. Become a strengths-based organization, introduce innovation into your business, or take the leap from wannapreneur to entrepreneur.